Learn the ancient art of self-defence, and receive gifts you never realized existed. Join us, and get the rewards you deserve. 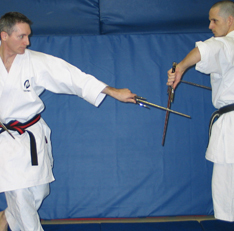 At Ouellette Karate & Self-Defence we have a very unique approach to self-defence which is designed to give you the highest probability of successfully defending against the kinds of attacks that happen on our local streets. Our research on local attacks is based on eye witness testimony, victim interviews, local crime reports, as well as reports from colleges in law & security, as well as associates who are private bodyguards . 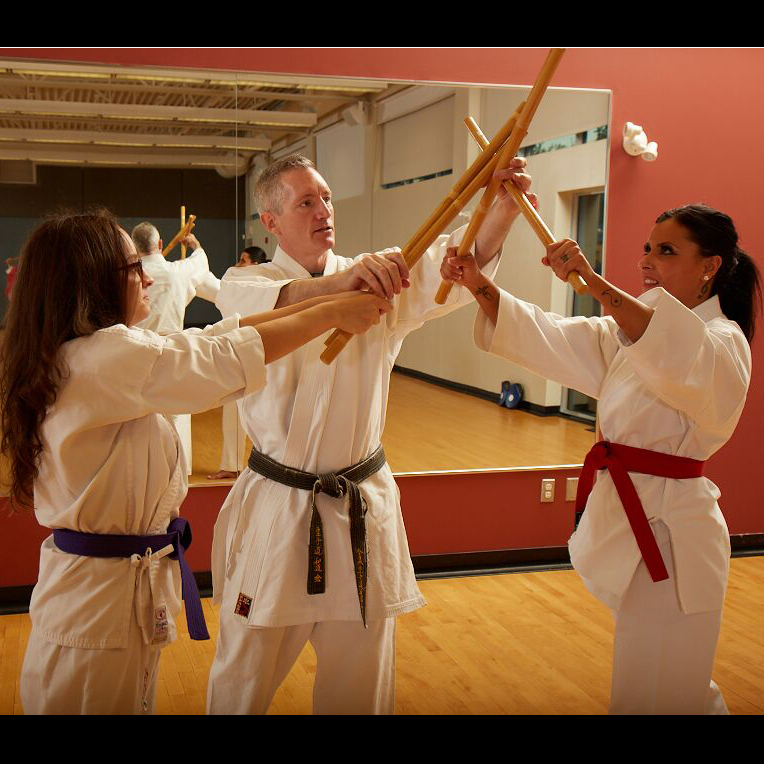 We combine this research with a tremendous amount of training and experience with a variety of martial arts such as kareate, jujutsu, muay thai, brazilian jujutsu, aikido, and judo to deliver a complete and systematized self-defence system. This system has the advantage of combining some of the best technology from a variety of Mixed Martial Arts (MMA) available today with context provided by our research into how it is best applied given the types of attacks that happen locally. 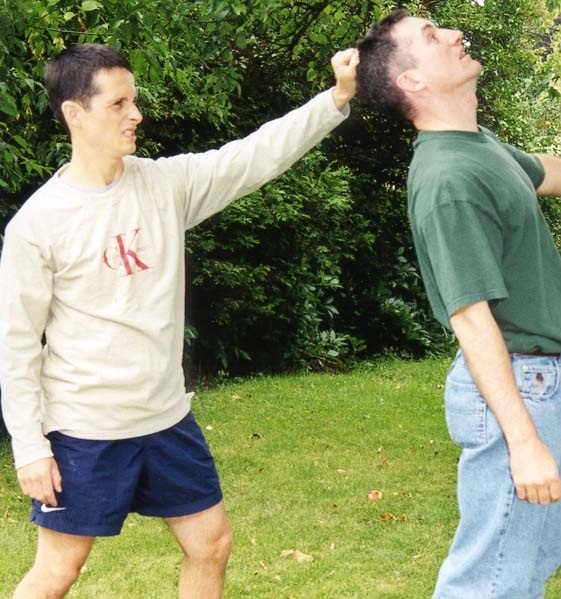 We first start with the most common Habitual Acts of Physical Violence that take place in Ottawa  both Man Against Man and Man Against Woman. 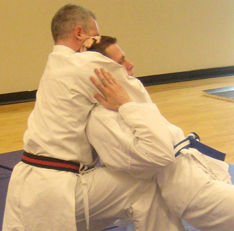 These are the attacks that we first train our students to defend against and they are the ones that we practice to the most often in order to make our students most prepared if a situation were to occur. As most random street attacks involve being seized in some way we then teach students at least two effective escapes, a primary and a backup. By effective we mean simple yet brutal. Simple in that they use more gross motor function and less fine motor function thus they are easier to apply even under stressful conditions. Brutal in that they subject the attacker to the most pain possible in order to impede their motor function. Finally our finishing moves are based on the highest probability counter attacks that will neutralize an attacker from each position. 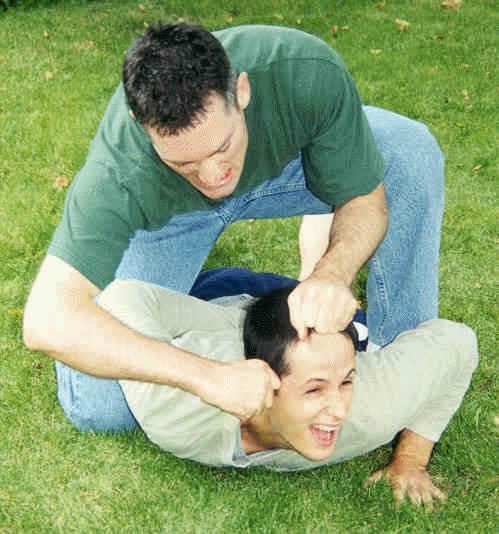 This includes impacting vulnerable points in the body, manipulating pressure points, throws & takedowns, chokes & strangulations, joint locks, as well as some secret dirty tricks unique to our system. 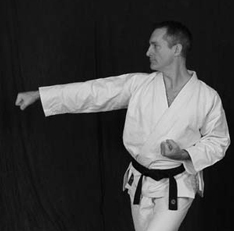 Morgan Duchesney, Martial Arts and Personal Security, The Harmonizer: Volume 15, Issue 1. 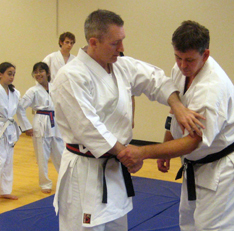 Patrick McCarthy is one of the few foreigners to actually teach karate-do in Japan.